A pleasant trip through the romantic landscapes of Umbria, a region famous for its picturesque medieval villages and the countless cultural, artistic, natural and culinary wonders. 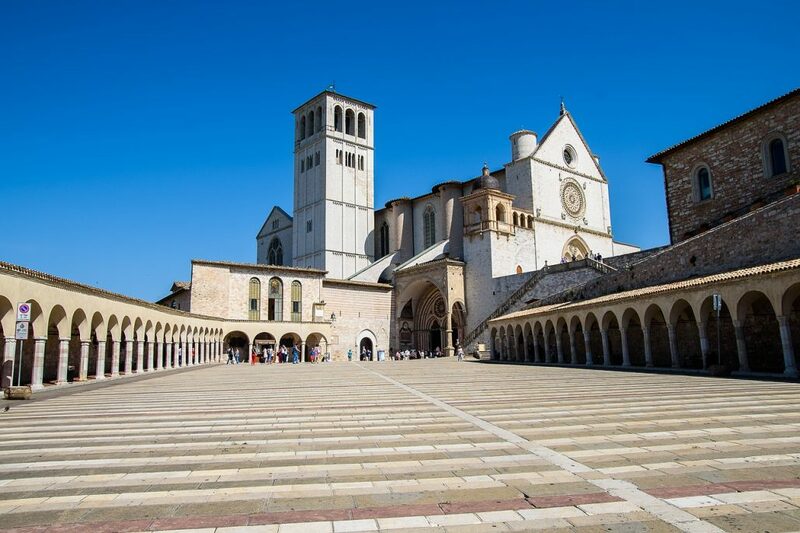 The tour will take you to the discovery of two charming cities: Assisi and Orvieto. Assisi, famous for its architectural treasures, among them being the famous Basilica of St.Francis, built in the XIII century, full of unique pieces such as the tomb of St. Francis and Giotto’s famous frescoes representing the three fundamental virtues of the Franciscan rule and narrating the life and deeds of St. Francis of Assisi. Other must-see ancient art jewels of Assisi are the Temple of Minerva, which dates back to the first century BC, the Chiesa Nuova, built in ‘600 upon the birthplace of St. Francis, the Basilica of Santa Chiara and the sixteenth-century Cathedral of San Rufino, bishop, martyr and patron saint of Assisi. Orvieto, with its impressive Gothic cathedral and spectacular views of the surrounding countryside and vineyards, is one of the oldest cities in Italy of Etruscan origins. Located initially in the tufa caves in the bedrock upon which today rises the current city. 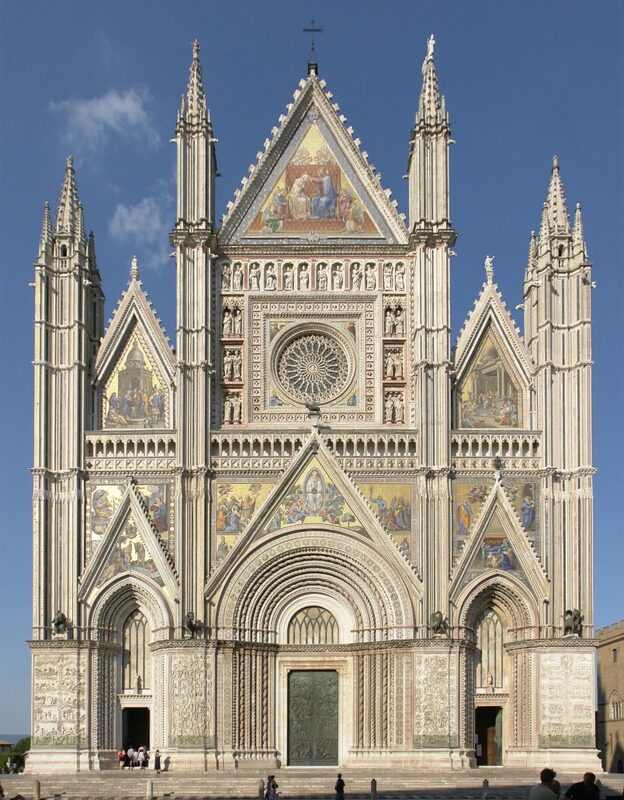 Impossible not to visit the Cathedral of Orvieto, a splendid Romanesque-Gothic example, rich in works of art such as the famous frescoes by Luca Signorelli and the Reliquary of the Corporal. Orvieto symbol is certainly its Underground City, entirely excavated by the inhabitants over the centuries, full of pits and caves, including the famous Pozzo di San Patrizio (St. Patrick’s Well). The Pozzo di San Patrizio, built in the sixteenth century, on the behest of Pope Clement VII, is one of the wells from the impressive size in the world, is in fact 62 meters deep and has a diameter of 13.5 meters. • Our driver will go directly to your hotel, or at the address indicated by you, with the car you have chosen and booked. • Our rates DO NOT INCLUDE private guide, entrance fees and meals, unless it is specified in your reservation. • Always wear appropriate clothing, respectful of the sacred places, so as not to risk not having access to religious monuments, whose custom plans that cover your knees and shoulders. • Our driver will find a nice restaurant where you can enjoy a traditional Italian meal with typical local products.